A subtle play of color, texture and dimension provides visual strength with a tremendously decorative all-over pattern that’s easy to work with in a room. 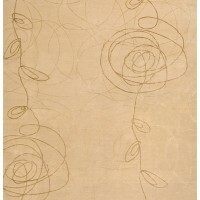 Dancing winds are etched across the surface of this rug's simple, whimsical design. 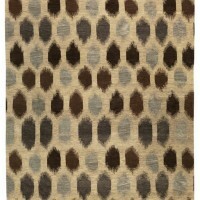 A San Francisco Bay Area designer created this rug design with an architectural motif that balances form and spontaneity. 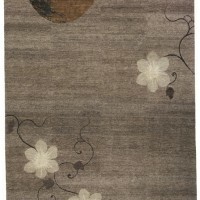 The evening moonlit scene of this Japanese-inspired design evokes a feeling of serenity. 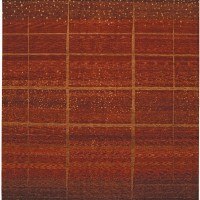 Hand-spun Tibetan wool and silk with Ngari weave construction.